British lawmaker George Galloway, known for being vehemently anti-Israel, claims Israel is behind the chemical attack in Syria. British lawmaker George Galloway, known for his vehemently anti-Israel views and for his support for the Hamas terror group, has placed the blame on Israel for Wednesday’s chemical attack in Syria which killed hundreds of civilians. The Respect Party MP for Bradford West claimed that the Jewish state had given rebel groups affiliated with Al Qaeda chemical weapons for use against Syrian civilians. “If there’s been any use of nerve gas, it’s the rebels that used it...If there has been use of chemical weapons, it was Al Qaeda who used the chemical weapons,” claims Galloway in a video distributed on the internet. The comments were made during a TV show Galloway hosts for the Iranian state-run Press TV. 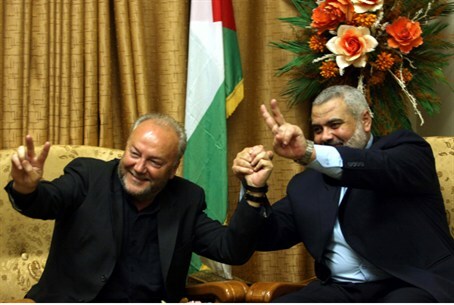 Galloway is a vocal supporter of the Iranian regime. In 2009, he was declared a security risk and was barred from entering Canada for a speaking tour that was organized by the Toronto Coalition to Stop the War. Galloway was later allowed entry to Canada and began a speaking tour across the country.